Citus is an open source database built on top of Postgres–helping scale out your data. Here they walk through how you can have complex SQL transactions in Citus distributed setup. Malis continues his series on all things Postgres. First with this post on 'vacuum' and following it up with some details about transaction wraparound. A Nagios-compatible checker to monitor key features of a Postgres cluster such as database size, slow queries, dumps, bloated indexes, and more. Especially when you have many services on different platforms. 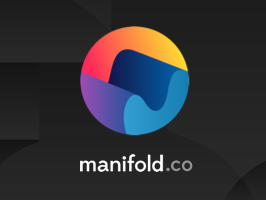 Manifold helps you manage all your services with a single account. We have awesome partners like JawsDB, LogDNA and Mailgun. Start building your stack today. How to deal with data entry, slow selection, and possible collisions. Sequelize is one of many options in Node for working with Postgres. Here's a primer of what it is and how you can use it for your next Node app. Need to join two tables that aren’t explicitly related by some key? This post walks through the use case and how you can accomplish it. An open source tool to help you monitor a Postgres database and get insights on stored procedures, IO stats, index usage, and more. Linux cloud hosting starting at 1GB of RAM for $5/mo. Get a Linode server up and running in seconds. Use promo code POSTGRES20 for a $20 credit on a new account.